The film is a very heartwarming one. With a great cast. It also stars Oscar winning Octavia Spencer as Frank and Mary's neighbour who loves to help them out and spend time caring for Mary. It is a story where you see so many people with different ideas on what is best for a special young child and at times getting it wrong. There are some sad emotional parts along with parts that could make you cry with happiness. It is a really lovely film, perfect for a date night or getting the girls round with some wine. I don't want to give too much out about the film or how it ends but it is definitely a must watch. 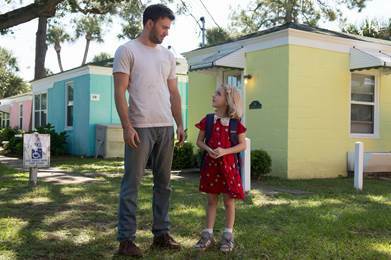 Gifted is out now on DVD/Blu-Ray and Digital Download. For a chance to win a copy of Gifted on DVD simply follow the instructions on the Rafflecopter form below. Open to UK only. The competition will end 06/11/2017 at 12am. All entrants must complete the mandatory entry on the rafflecopter form. Those who don't will have all entries removed. All winning entries will be verified to ensure the entry has been completed correctly. The blog owner will choose the winner through the rafflecopter form (which uses random.org) The winner will be notified by email and displayed on the widget. One winner will receive a copy of Gifted on DVD. No alternative prize will be offered. Allow up to 28 days for delivery.